Trees tell their stories like an open book. They are dealt a place in nature's realm, and there they live out their destiny. The venerable old mountain-top trees have so much to tell - they fascinate me. We humans are good at hiding our stories, even from ourselves. We manipulate nature so thoroughly that we forget our intimate connection with it, and how it fundamentally shaped us. When you return to co-exist with the wild unmanipulated places, you suddenly remember: you were designed by nature to cope with what nature deals out. And you begin to identify with the trees, standing there naked before the wind. This old specimen of a Rock Oak (formally Chestnut Oak) stands near the high point on Brushy Mountain between Lickskillet Hollow and VA 611. 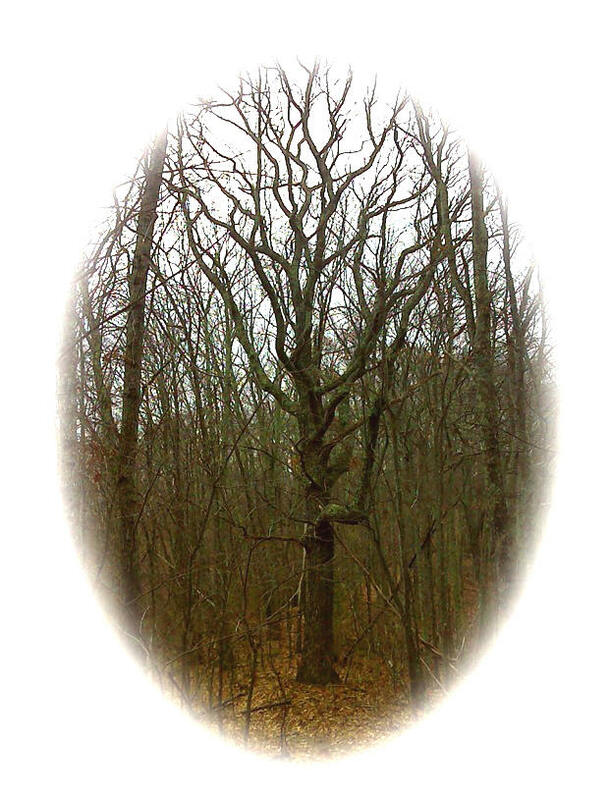 It greeted me with all the silent majesty of a king holding court, right there on the Appalachian Trail. Trees seemed to be the highlight for me today - there was only one viewpoint along a power line clearing. For the fourth day in a row I met no living being as I hiked. And the weather was benign enough, even warm. My way took me along the ridge of Brushy Mountain all day. I popped back down to Kimberling Creek at the north end, where the water posed for this portrait from the middle of the suspension bridge. But otherwise it was the trees. 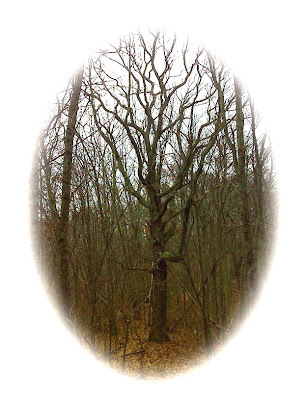 This one, a red oak of gargantuan girth, speaks with outstretched arm: "This way, young lad. Let me show you the path." And I listened. Because this national public path knows that its place is among such kind. Even its logo, the 'A over T', resembles A Tree.